This article was originally published in the Huffington Post by Caroline Knorr, Common Sense Media parenting editor. With the statistics piling up, it has become increasingly clear that the cruelties inflicted by cyberbullying have become a devastating reality for many tweens and teens. While bullying is nothing new, when it takes place in the digital world, the public humiliation can shatter young lives. Photos, cruel comments, taunts and threats travel in an instant, and can be seen, revisited, reposted, linked to and shared by a huge audience. We're all responsible for making the digital world a decent place. Below are some of the top concerns we've heard from parents trying to make sense of kids' online behavior. A. Cyberbullying is using digital communications (like the Internet and cell phones) to make another person feel angry, sad or scared, usually again and again. Many experts agree that intent and context are important, too. If the behavior was intentional, that's clearly cyberbullying and there should be consequences. But if a kid inadvertently hurts another kid, then he or she may just need to learn better online behavior. Either way, if your kid feels bad as a result of someone else's online actions, then they may have been targeted and you should take it seriously. Kids' conversations can be rowdy and rude. But if they're not deliberately (and repeatedly) designed to inflict cruelty, and no one feels wronged, then chalk it up to juvenile antics. But keep an eye on it. Q. How is cyberbullying different from bullying? A. All bullying is extremely hurtful to the target and can make kids feel uncomfortable, embarrassed, helpless, sad and angry. But cyberbullying is a particular form of bullying that often spreads faster and further to more people and can occur at any time of day or night. Online messages can be more confusing or scarier than in-person communication because there are no face-to-face cues to help you understand people's intentions. Helping kids recognize bullying will help them learn to better deal with it. Kids may use more hurtful and extreme language online than offline. It's not uncommon for cyberbullies to say things like "I wish you would die," "You're ugly," and "Everybody hates you." If a kid said these things out loud in public, a teacher, a parent or even another kid would probably overhear and intervene. Cyberbullying can happen anytime, whereas regular bullying generally stops when kids go home. Your kid could get a text, an email or see a post -- or posts -- on Facebook at any moment. Cyberbullying can be very public. Posts can spread rapidly to a large, invisible audience because of the nature of how information travels online. Cyberbullies sometimes act anonymously, whereas, with traditional bullying, it's often clear who the bully is. Anonymity is a cloak that bullies hide behind. Not only does it encourage the bully to be more brazen, it makes him or her hard to trace. In-person bullying can cause both physical and emotional harm. Cyberbullying causes "only" emotional harm (though it can lead to physical bullying, as well). Q. What are some examples of cyberbullying? A. Usually, cyberbullying is characterized by repeated cruelty. Whether this was a thoughtless, one-time prank or a more deliberate act of cruelty, it sounds as if your kid was humiliated over and over as every kid saw the picture. That's what matters most. Hopefully, the kids' parents were notified and your kid recovered. Q. How do you have the conversation with another parent about their kid's bullying? A. If your kid is bullied by someone he or she knows, you should probably talk it over -- face-to-face -- with the kid's parents. These steps can help you achieve a cooperative conflict resolution that will get everyone working together. Schedule a meeting. While your impulse may be to confront the kid's parents immediately, it's better to set a time to meet and discuss the situation in a civilized manner. Explain that you're there for your kid. Say that your kid reported the incident and you wanted to follow up. That takes the heat off of the parents and allows you both to discuss your kids' actions. State your goal. Yes, you're angry and hurt, but your goal should go beyond blaming. 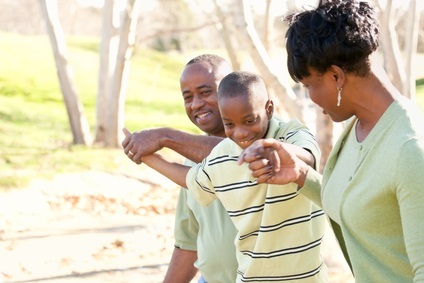 You want to end the bullying and have your kids stop engaging in destructive behavior. Let the other parent talk. Hear them out; they may have information that you don't know. Bring the evidence. Show printouts or the devices on which the bullying occurred. Work together. As much as possible, try to enlist the other parent so you can work as a united front. Talk about next steps.Create a plan for how to proceed as well as a check-in schedule so you can see how things are progressing. Depending on whether things calm down or escalate, you may need to bring in a neutral party -- a teacher, counselor, even a community leader -- to deal with the problem and help you all move forward. The Benefits of Living Unplugged (Even If Just For a Day)!